Bonjour! Mon nom est Aurore Gagnon and I am 15 years old. I belong to the house of the great Gagnons and My family has been in the Second Estate for as long as my family tree has been around. I am the noblest of the nobles in the Second Estate, and i can tell you that i am probally the only noble to defend and help the Third Estates. I do NOT believe they are low life scum that are destined to give us money when needed, like everyone else does. My mother is teaching me how to be a duches and let me tell you a little secret.... I HATE IT! Its all stand up straight, dont slurp your food, and keep your mouth shut! I'm not even allowed to state my opinion, AHHHH!I don't care what the consenqueces are but this is what i believe:Things are starting to become a little rough here in Paris, there are more exacutions than there are days in the month and im starting to fear for my friend Ebony and her family. 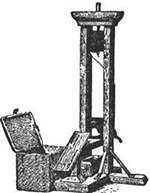 Just the other day a friend of my fathers brother was executed and his wife was forced to sit under the blade being dripped on by his blood, all just because she cried when he was executed, its becoming out of control and just between me and you i Despise Maximilien Robespierre, he's cruel for doing this to the citizens. don't you think that your attempt just might fail, no matter how hard you try?